Every holy principle rejoices in a connection with spotless purity. Every grateful sentiment is stirred by recollecting the labors of redeeming love; every generous affection is roused by the mildness of his yoke; and every hope is animated by the prospect of that life and immortality which Jesus has brought to light. This joy, it is evident, can only be tasted by the consistent, faithful, practical believer. The friends of Jesus will possess the joys of Jesus; but the friends of Jesus are those who do his commandments. This is his own account of the matter, and therefore, when we lay this down as a rule, we are sure that we are right, for we are only repeating what he, himself has said. We are called to study the attributes of God; the relations in which He stands towards us, and those duties which, in consequence, we owe to Him. We are to make ourselves acquainted with the divine authority, the pure doctrines, the holy precepts, and the perfect character of the blessed Jesus. This is the knowledge which will make us wise unto salvation. Knowledge without virtue will do us no good. In the divine administration, which is wisdom and benevolence in action, we behold means and ends invariably suited to each other. Holiness is the great mean of real and lasting happiness. If to grow in the likeness of our divine Master is the only preparation for the happiness he has promised, an unwearied attention to his precepts and example is strongly impressed upon us. We must be active, vigilant, and persevering. Prejudices must be eradicated, passions must be governed, appetites and inclinations to evil resolutely restrained. The heart and the life must be kept with all diligence, if the prize of our high calling is to be made sure. 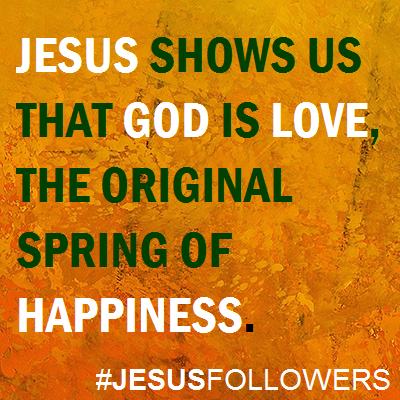 Jesus shows us that God is love, the original spring of happiness, and that the grand end he proposes, in the production of man, is the communication and extension of happiness. He shows us that no situation of human life can warrant a fretful and despondent attitude; but that, in. all cases, we may, and, in justice to our great benefactor, ought to encourage a cheerful, and even a joyful attitude. Let us look for strength where alone it is to be found. Seek for salvation only in that way which the Gospel prescribes. Go directly to the narrow gate. Depend upon it that in no other way redemption can be found. Consult your reason. Make a worthy and noble choice. Aim high. Ambition here is a virtue. One cannot help wondering what the Christian world would be like today if the Church had kept to the policy and program of Jesus. What if the Church in her ideals and efforts had remained predominantly religious and ethical, instead of becoming, as she did, predominantly doctrinal and speculative? It is not easy, indeed, to envision it. We are so accustomed to associate the great doctrinal disputes of past ages with the history and activity of the Church, that they almost seem an essential part of her life. But are they really? As we look back upon the extinct and, as it now often seems, pretty much meaningless controversies of the past, it is not easy to resist the feeling that the Christian Church might have done a greater work and might now present to the world a better representation of the Spirit of Christ if she had observed the terms of his commission and had not undertaken to annex to her province so many foreign territories. The Sermon on the Mount is a new law of conduct; it assumes beliefs rather than formulates them; the theological conceptions which underlie it belong to the ethical rather than the speculative side of theology. Metaphysics is completely absent from it. The Nicene Creed is a statement partly of historical facts and partly of dogmatic inferences; the metaphysical terms which it contains would probably have been unintelligible to the first disciples; ethics have no place in it. One belongs to a world of Syrian peasants, the other to a world of Greek philosophers. The absence of ethics from one of the great ecumenical creeds of Christendom, and the metaphysical conditions of salvation prescribed in another, represent one estimate of the relative value of dogma and of character in the Christian world. This estimate only shows how completely the gospel of Jesus became transformed into an esoteric doctrine as remote from the motives and purposes of Jesus' life-work as the unseemly strifes and alienations which it engendered were unproductive of the fruits of his Spirit in mankind. Jesus was wholly concerned with ethics, with begetting and fostering in men the Godlike life. The word "character" summarizes the great interest and life-purpose of Jesus Christ. The primacy of dogma in the Nicene Creed is obvious. More than forty paragraphs are devoted to the dogmas belief in which is declared to be essential to salvation; but two sections at the end are reserved for laying emphasis on a good life, so that this is not completely excluded from the definition of "the Catholic Faith." Jesus and the apostles also spoke frequently of what men must do to be saved, but we can detect no resemblance between what they said and the propositions contained in these forty-one paragraphs. The Sermon on the Mount is a typical description of the true righteousness which must characterize the members of the Kingdom — the righteousness which surpasses the legal formalism and ceremonial punctiliousness which the scribes and Pharisees called righteousness. Meekness, being merciful, aspiration after goodness, purity, peacemaking, humility, patience, charity - these are the constituents of the Christian character as Jesus there portrays it. How obvious it is that we have here an elaboration of the prophetic conception of righteousness that’s practically synonymous with love. We are thus brought face to face with the contrast between the biblical conception of righteousness and that which has been most widely current in traditional theology. The various qualities and activities of the Christian character on which Jesus lays most stress are all consistent with what we have found in his mountain Sermon. The true righteousness which makes us children of God consists in a love like that of God Himself. 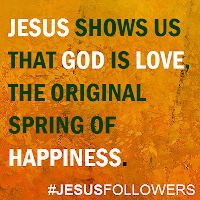 The Christian character, then, as Jesus conceived it, is summed up in the one word "Godlikeness." Become the children of your Father; be like your Father in love, in purity, in readiness to serve and forgive, and you thereby become members of the Kingdom of heaven; to acquire such a character - to live such a life - IS salvation. But how are we to know what God's nature and requirements are so that we can understand, desire, and choose them as prescribing the law of their own life? The life and character of Jesus himself are the answer. The more abstract demand to be like God is translated into the concrete and unmistakable requirement that the disciple should be like his Master. It is, indeed, the unparalleled marvel of the character of Jesus that we can transfer the qualities of that character, point by point, to God himself with a perfect sense of consistency and truth. If Jesus seems to set before us a high and abstract law for life, he does not leave us without a clear and definite interpretation of it. If he points us to a distant and apparently unattainable goal, he proves himself to be the way to an ever-closer approximation to it. The Way of Christ Jesus is the way to the Father. What does Jesus mean when he says, "Counting the costs?" Too many people are willing to believe in a God that requires nothing – no work, to time, no money, no effort, and no works of love; a religion that’s made easy, that requires less effort than is required to put a meal in a microwave. They're more than ready to go to Heaven, as long as God carries them there without any requirement that they move their feet a single step. But the inconvenient problem for those who believe this, and wish to continue to call themselves "Christian" or followers of Christ Jesus, is that this is not the religion Jesus preached. That’s not the path he calls us to walk. It's not the life he wishes us to lead in this life. And it doesn't even lead to eternal salvation with God, our Father. If people really put a faith in our God at the center of their lives, and believed that Jesus himself lays out this religion in his words, then they would find no work for God too hard, no self-denial too severe, and no offering of service in the name of God’s chosen Son, Jesus to be enough. Jesus spoke about costly, righteous obedience that would cause people to hate us, and a Godly kingdom here on earth that requires us to act righteously, loving even our enemies. God would then reward us with Heaven based only on our deeds. That which we obtain cheaply, we esteem lightly. 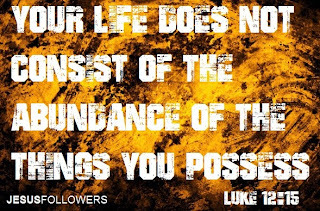 A gift freely given, a gift unwrapped and unused, is a worthless gift, regardless of the cost. Teachings unused, and unapplied, are exactly the same - useless. Jesus never said that salvation would come without cost. He never said it would require no effort, or that it cannot or must not be earned. In fact, he said just the opposite. His parables, including this one about the costs involved in building a tower, all point to a costly faith – a faith that requires us to give all we have to serving God by loving and serving both Him and our fellow human beings. If faith costs nothing, and salvation can be achieved without effort, what "costs" must we count? If effort and self-sacrifice is not required of us by God, then of what "costs" does Jesus speak regarding the tower in this parable? If the wide and easy path is the path condemned by Jesus, why do so many seek it? Those who don't plan, or don't count the costs, or don’t believe there ARE costs in achieving eternal salvation deserve to be mocked, just as those who would build a tower without considering the costs would deserve to be mocked, says Jesus. And those who don’t consider ALL they have to be on the line when following Jesus should reconsider calling themselves by his name. We must be willing to share all, give all, and do all in order to follow the Paths of Righteousness and, ultimately, eternal Salvation Jesus calls us to follow. "Everyone to whom much was given, of him much will be required, and from him to whom they entrusted much, they will demand the more." 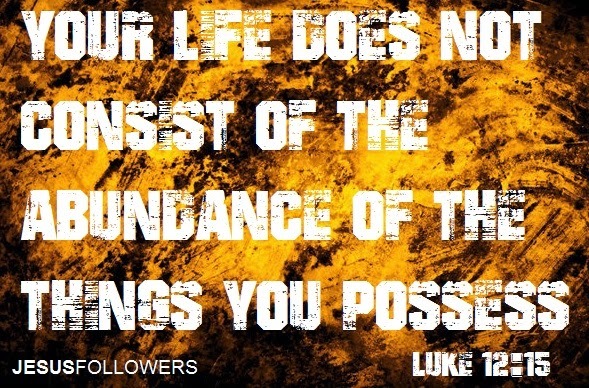 (Luke 12:48.) Does this sound like the words of someone advocating and approving an easy, lazy faith, to be rewarded by God with a cheaply obtained eternal life? God said at Jesus' baptism, when He adopted Jesus as his anointed Son and appointed him as our Example and Savior, "This is my beloved son, in whom I am well pleased. Listen to him." (Matt. 17:15.) We should, then, listen to and believe Jesus’s words, both here and elsewhere, when he says we must obey God's commands and follow his own example, doing all things he has done in obedience to our Creator. God chose this perfectly obedient human being to be our example in all things. We therefore must make every effort to humbly and honorably seek to follow Jesus in obedience to his life's pattern, which pleased God so much. What do we owe to God? What do we owe to others? Many today might answer that we owe God and others nothing. Instead, they might say, we owe it to ourselves to focus on building up our self alone. This message is reinforced in almost every aspect of the society we live in. Advertising tells us that we owe it to ourselves to Grant our every desire, without hesitation. We are told that we deserve every luxury and every Indulgence we can think of. It's very very easy to fall into this trap, to believe that by gratifying ourselves that we will somehow be happy. Even some preachers teach that we owe it to ourselves to be rich - and that God endorses our quest for riches. They even say that our main goal in life is to "get saved," and save our souls for the next life. Once that's accomplished (and it's done quickly and easily, they claim - with just one prayer!) we may continue to focus on getting rich. But as we have seen again and again, people who have lived in luxury beyond our wildest dreams have the same feelings of unhappiness, of being unfulfilled, of feeling alone and unloved. It's almost a stereotype and a truism that money and fame does not really bring happiness. And yet some still believe it, and Chase the dream. If we follow Jesus, however, then the question of what we owe God and what we owe others is a simple one to answer. We owe everything to God and we owe complete and total service to others in the name of Jesus, whom we serve. Some say this is just a simplistic and easy summary of all the laws of God. And while it is a summary, for sure, it is not simplistic, but an incredible, powerful challenge that Jesus calls us to take up daily. Because if we owe everything to God, our creator, we will live our lives full of gratitude to him for this creation and for our lives in it. If we owe everything to others, we will serve them and love them and cherish them. We will do everything to comfort them to ensure they have what they need to survive and thrive in this world. This is the selfless vision and the mission Jesus came to preach. Jesus calls us to individually reach out to those among us and serve them. We as Jesus followers are called to deny ourselves, not focus on gratifying ourselves - to put others first, even ahead of our own enrichment. Jesus calls us to pick up the cross of service, the cross of love, the cross of self-sacrifice and love of our neighbor. Jesus actually warns AGAINST seeking to save oneself. To do so means we will actually lose ourselves. (Matt. 10:38-39) Jesus seemed to know that we lose our souls when we focus inward, not outward. We should seek to live in a way that lets God's spirit flow through us in the same way in which it flowed through Jesus, our Master. When we do this, we are obeying our Master, whom God sent to us as an example and our teacher. We are then telling God that we are living lives of gratitude and service, just as his chosen son, Jesus, called us to do. As his followers, we ought to do no less.